HUNTER MANUFACTURING AWARDS – 2018 APPLICATIONS NOW OPEN! 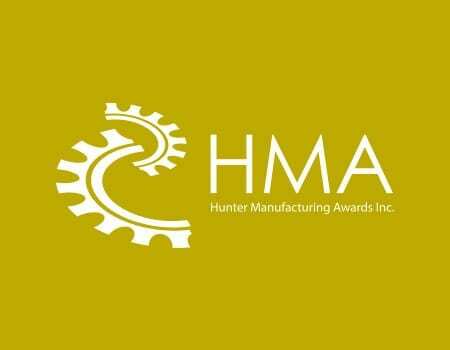 Registration and application into the 2018 Hunter Manufacturing Awards (HMA) are now open! Registrations will close on 13th July and applications will be received until 17th August 2018. Give your company the acknowledgement it deserves by taking the opportunity to use HMA as a platform to showcase your company’s achievements. MERRY CHRISTMAS FROM HUNTER MANUFACTURING AWARDS INC. The Board of Directors from the Hunter Manufacturing Awards Inc. (HMA) wish you a merry Christmas and a safe and successful 2018! On 20th October 2017, the HMA was held at Wests City (NEX). 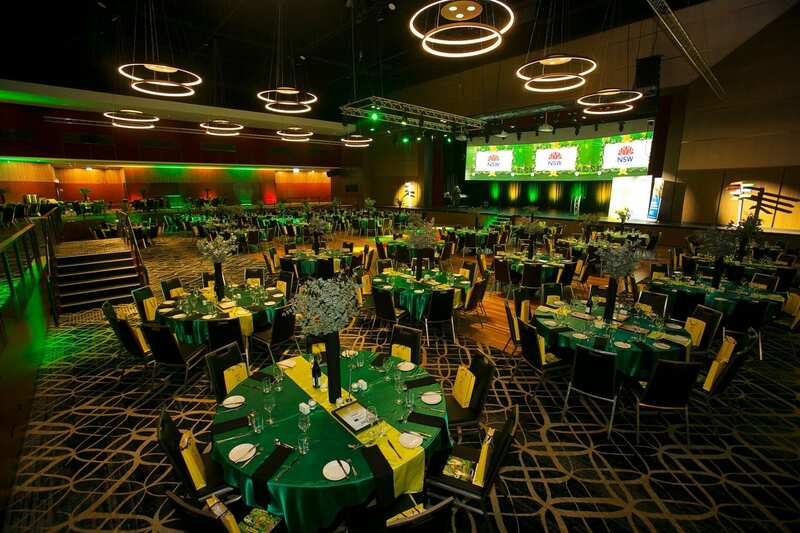 With an Iconic Australian People and Things theme guests enjoyed a night of ‘green and gold’ with entertainment from the Foxy Hornbags (Kath & Kim). 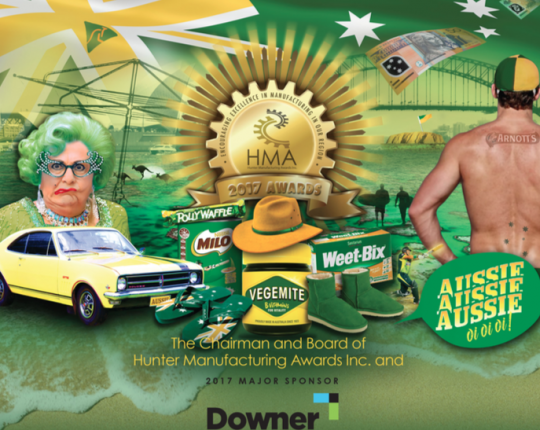 It was an array of green and gold with a great Aussie atmosphere displaying iconic Australian landmarks, people and things that marked the 2017 hunter manufacturing awards. Guests attended the annual event at Wests City (NEX) where a celebration of excellence in manufacturing was held for the 13th year. Finalists in the 2017 Hunter Manufacturing Awards Inc. (HMA) have been announced and the Board of Directors is delighted to have some new small to medium sized companies among the mix. 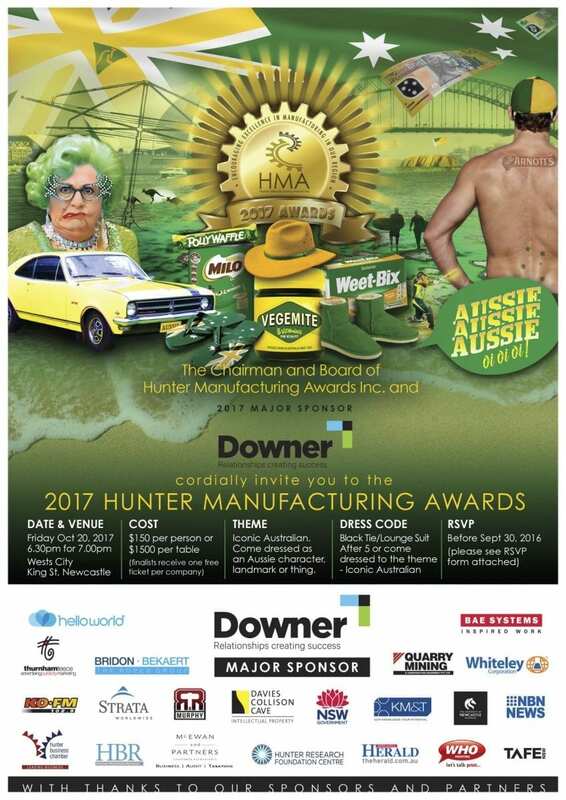 The Chairman and Board of Hunter Manufacturing Awards Inc. and 2017 Major Sponsor Downer invite you to the 2017 Hunter Manufacturing Awards at Wests City, King Street Newcastle, from 6:30 pm on October 20th. Continually scooping the pool at awards nights, particularly in the fields of innovation and export, bodes well for the future of leading Australian fibreglass boat manufacturer, Steber International. The 2017 Hunter Manufacturing Awards will be held on Friday, 20th October 2017 at Wests City, King Street, Newcastle (NEX). Finalists for this year’s awards are expected to be notified early September 2017. Invitations are available by emailing info@hma.org.au or by phoning 0438 242 899.